The study reveals that over 25 million motorists apply double-standards and get sufficiently wound up by the slack habits of others, resulting in them reacting angrily and even driving more aggressively. The responses of 2,000 drivers identified that three quarters of us see poor driving skills as a major safety concern – and their greatest irritation when behind the wheel. 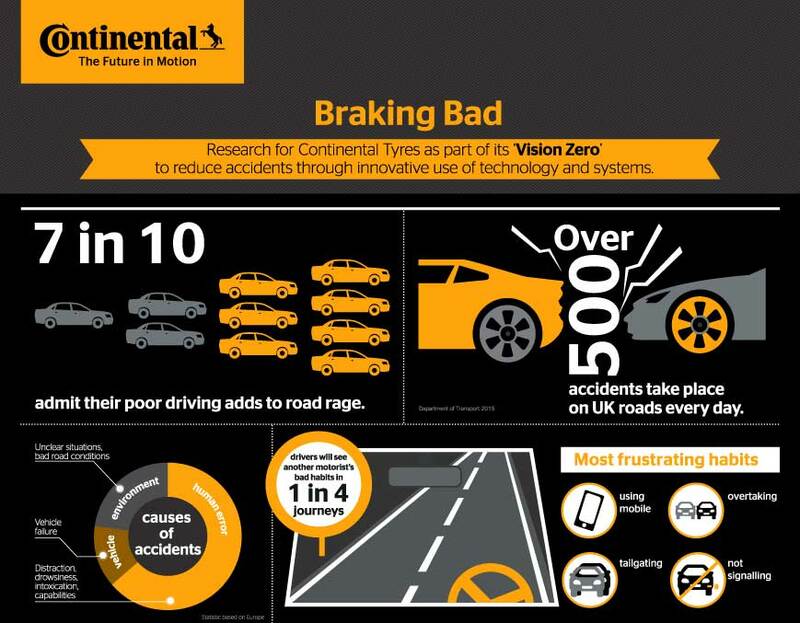 The research was commissioned to address how road safety can be improved and accidents reduced as part of Continental Tyres' long term commitment to ‘Vision Zero’, with the aim of reducing accidents through its innovative tyre technologies and automotive systems. Department for Transport figures report more than 500 accident every day result in an injury or fatality (figures to year ended March 2015). As technology automates more features of driving, it is the advances in safety systems that we hope will be a major solution to eliminate our own erratic performance behind the wheel. 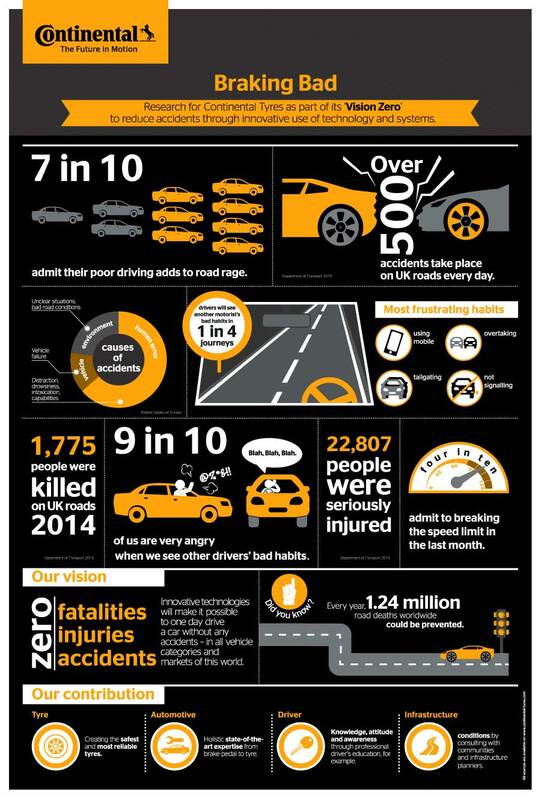 Mark Griffiths, Safety spokesman for Continental Tyres said: “Driving is a complex task that requires attention and concentration – when we fail to do that it creates problems for ourselves and other road users. The study also reports that we see bad driving habits on one in every four journeys, the worst being using a mobile, driving too close (tailgating), dangerous overtaking and failing to signal. Despite recognising the risks, 39 per cent of motorists admit to having broken the speed limit in the last month. Nearly one in ten also own up to using their mobile when in charge of a vehicle. Mark Griffiths of Continental Tyres added: “Adopting a double-standard and disapproving of the faults of others whilst ignoring our own failings is a clear concern. With the prospect of driverless cars, people are starting to consider the benefits that will be delivered over the coming years.